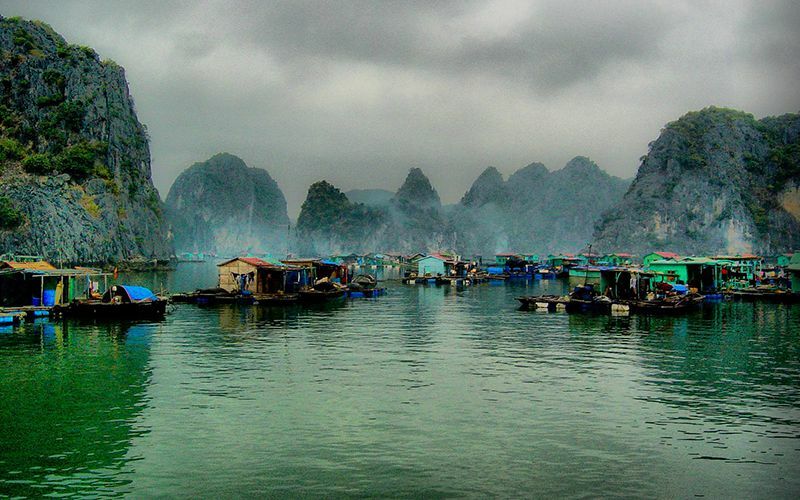 Begin your cruise in Halong Bay while seafood lunch is served on the boat. You keep admiring the amazing kasts with different formations on the way. 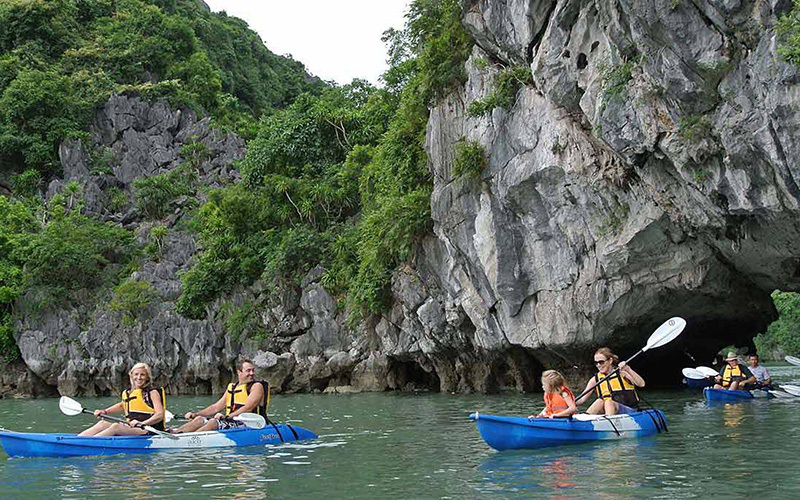 Then you will arrive at Kiem Lam areas and enjoy kayaking in one hour. Back to the cruise, free time for swimming, sunbathing or snorkeling…. Relax on the sundeck and enjoy free fruits and drinks served by the crew. You can join a cooking demonstration class to learn how to prepare Spring-roll Vietnamese dishes before sitting down for dinner. After dinner, you are free at your leisure: relaxing, listening to music or catching fishes and squids with the equipments provided then retiring in your comfortable cabin. 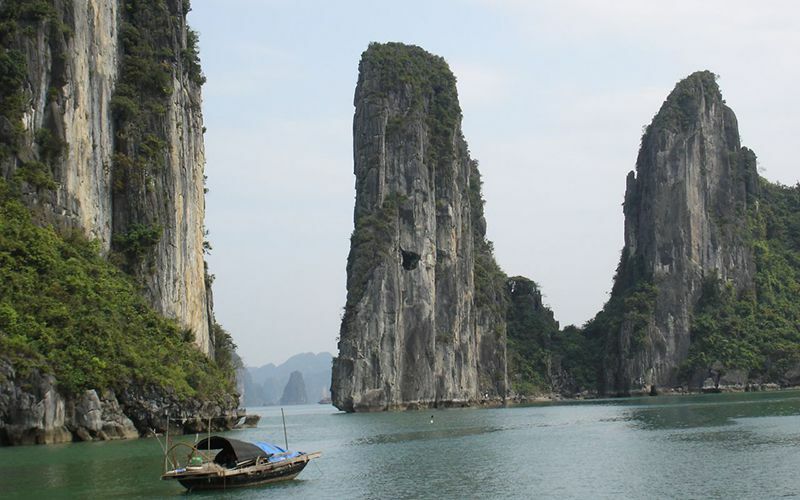 After breakfast on boat, you will visit the Halong Bay’s largest cave named Sung Sot (Amazing Cave) in one hour . 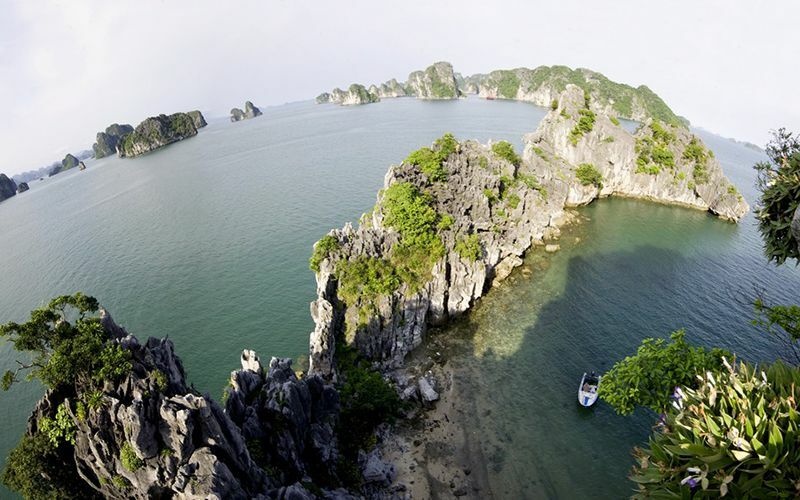 Around 9:30 a.m, change to day boat then cruise toward to Viet Hai Wharf belonging to Cat Ba National Park. Taking a 5km ride to Viet Hai village to explore the lifestyle of local residents. Back to the boat relax on the sundeck for a while before lunch with sea food and Vietnamese specialties then take enjoy another kayaking trip (around 1 hour and a half) to explore Van Boi and some sandy beaches while cruising to Beo Wharf. 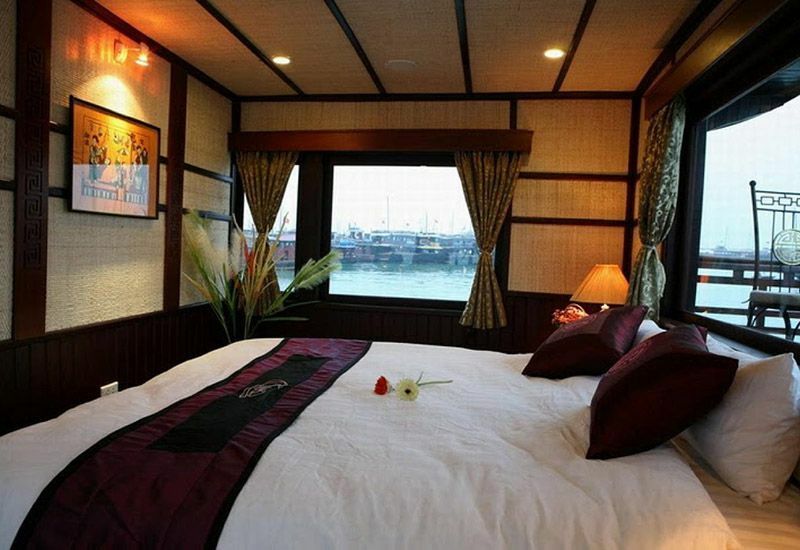 Disembark and check in your hotel in Cat Ba Island. Free to explore Cat Ba town on your own activities. After breakfast, transfer to Beo Wharf. 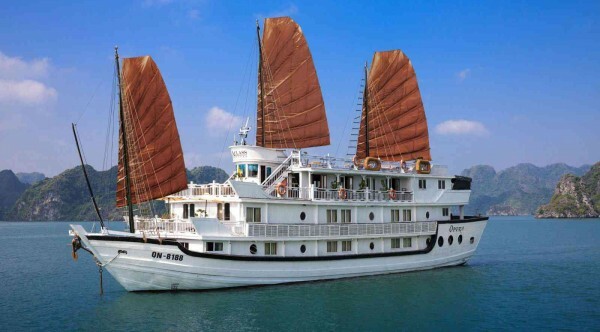 Get on the day trip boat and cruise along Lan Ha Bay then back to our awaiting cruise on the bay. 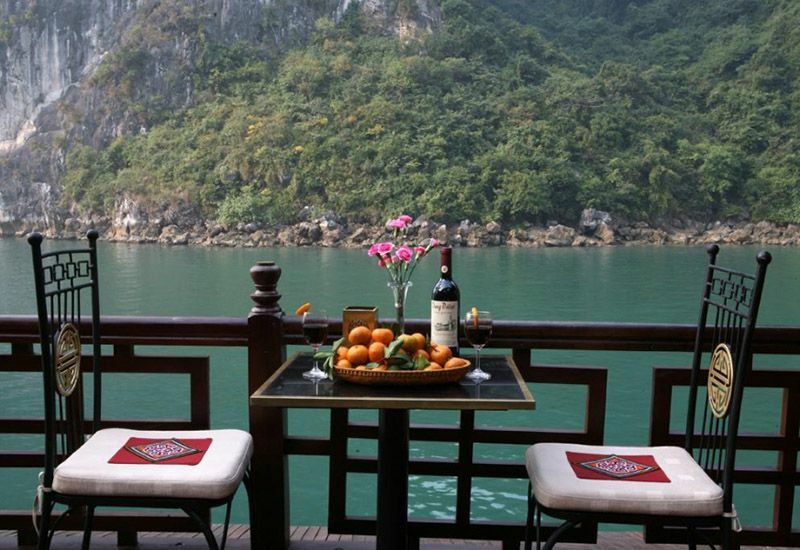 Have lunch then disembark and take a bus from Halong City return to Hanoi with short break on the way. Arrive in Hanoi around 5:00 pm.